Just released exclusively at the Disney Store, here we have their new Wall·E Wind-Up toy with sounds! 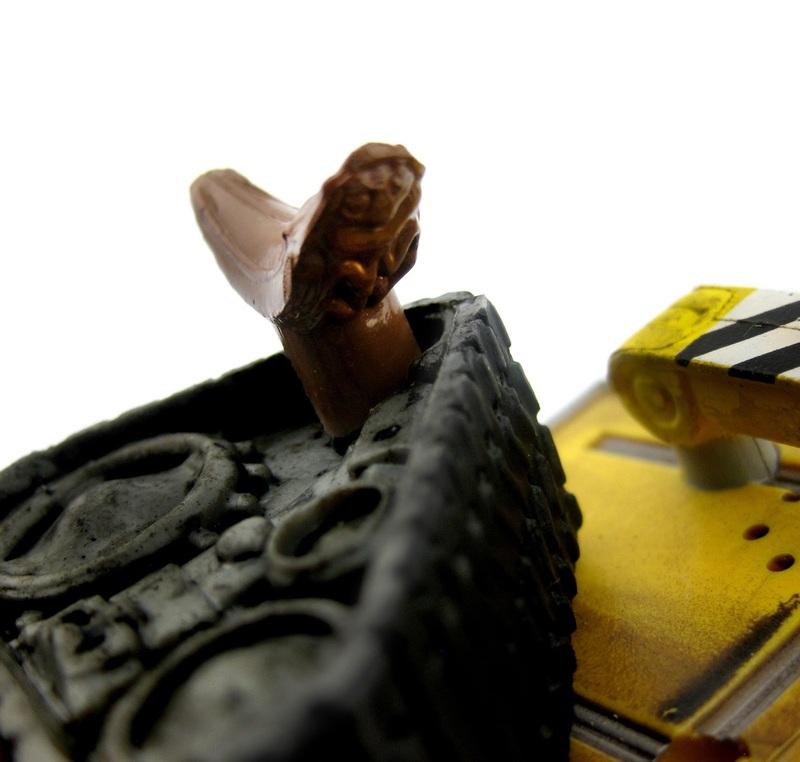 This is an awesome little figure with a great sculpt and a surprising amount of detail. They really went all out with the weathered, "grimy" paint application. 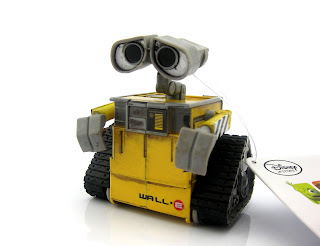 He is about 3.5" tall (3" wide) and retails for just $6.95. 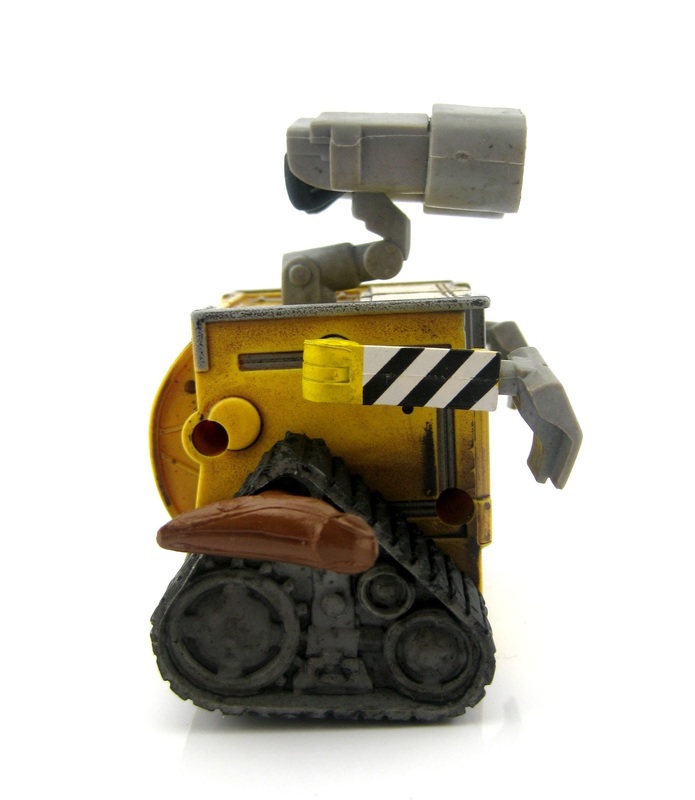 Just wind Wall·E up and he will move forward while also lifting his head up and down and from side to side. 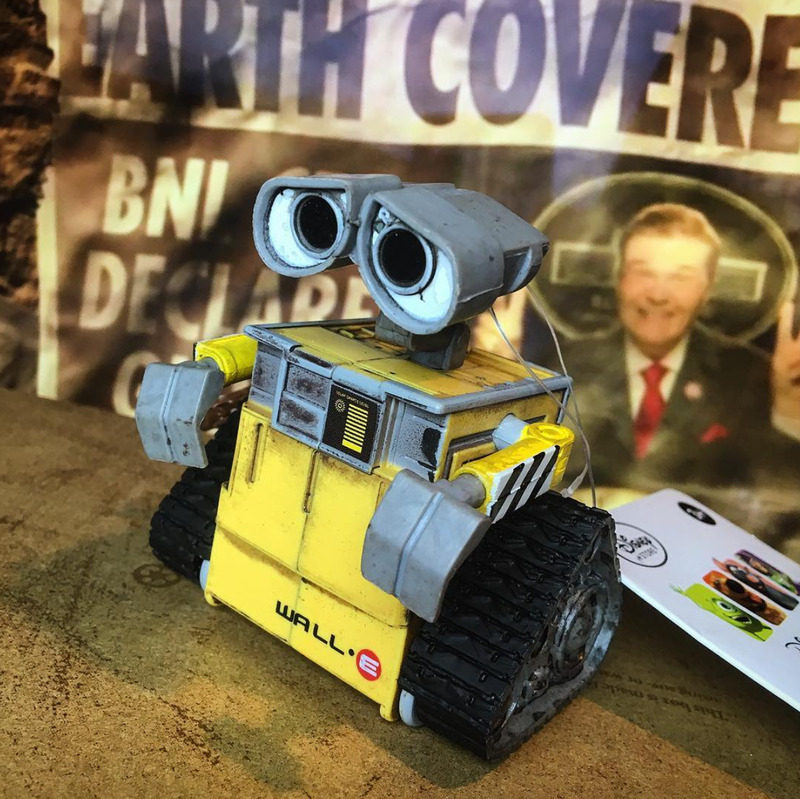 Flip the switch on the back to hear some of his signature sounds directly from the movie! You'll hear whistles, beeps, other mechanical sounds and even some words ("Wall·E..." and "Eva!"). Three AG13 1.5V batteries are included. 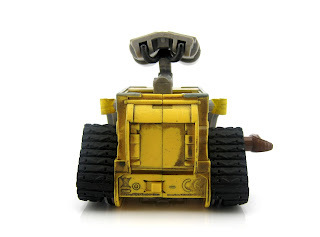 Look at this detail...the wind-up key is actually sculpted after Wall·E's little cockroach friend! Clever. This is my third Wall·E Wind-up toy, but it's quite different than the other two I have. I definitely could not resist this when I saw it today! 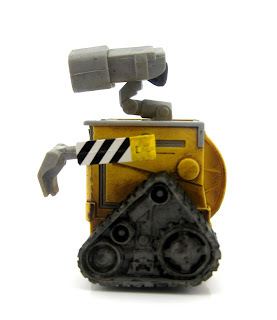 The other ones in my collection, the Wacky Wall·E and the Movin' Movin' Wall·E, are both very minimal and stylized in their designs. It's cool to now have a more realistic looking one (and the sounds take it up a notch as well). Yo can pick this up at your local Disney Store or online HERE. Wall·E fans of all ages will no doubt love this! UPDATE 11/01/16- Video has been added below!